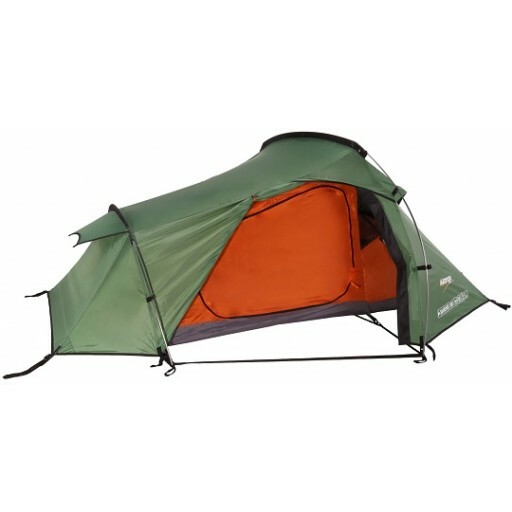 The Vango Banshee 300 has become a best seller for those seeking a compact lightweight backpacking tent that will prove to be a companion you can depend upon whatever part of the World you are in. 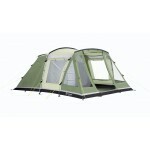 The Vango Banshee 300 is a double skin tent with external poles enabling all-in-one pitching so you never have to remove the inner tent. 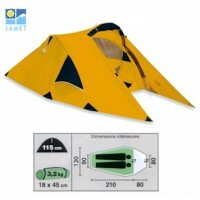 It sleeps 3 in the breathable polyester inner which also features a part mesh a side door opening and a 6,000mm hydrostatic head polyethelene groundsheet. 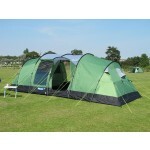 The flysheet is Protex HC 5000 durable, UV resistant polyester with 5000mm hydrostatic head waterproof protection. 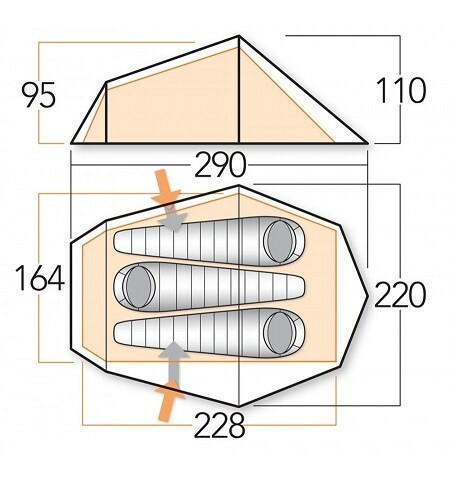 On the Banshee 300 there are full length flysheet entrances on both sides of the tent so you can enter or exit away from the worst of the weather. The colour coded poles are tried and tested Powerlite 7001-T6 pre-angled alloy poles which make the walls more vertical, maximizing space and making the tent more stable in the process. 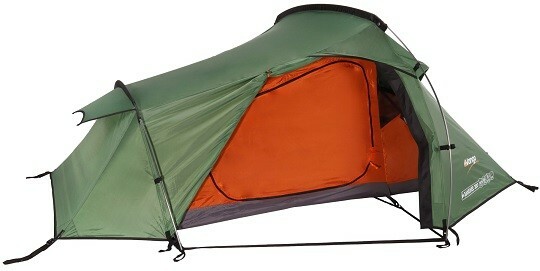 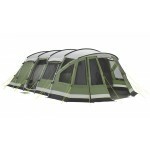 Inside is Vango's TBS II tension band system which will further stabilise the tent in harsh weather conditions.